There are plenty of things we want. Some of them are easy to achieve, some of them are hard. Some are important, some not so much. We spend our whole lives trying to improve our situation. Economists say that is the human condition. No matter what we have, we want more. Unless your goal is to become a monk who needs no food, water, shelter, and is content to sit in the mountains and meditate, we must accept our fate. Some decry this as pure materialism to be shunned at all costs. But strip away all the capitalism, money, exchange, and what do you have left? You are still human, you still have needs, and those unmet needs will always be replaced by other unmet needs. That is the human condition. There seems to be an unsolvable dichotomy. We strive for peace, but we are always out of balance. We are always between accomplishment and desire. That time of happiness and contentment we feel when we achieve a goal is fleeting. The secret is in the chase. Going after a worthy goal is what life is made of. Learning skills along the way, overcoming obstacles and discovering new things about yourself is what it’s all about. Sometimes, though, we are our own worst enemy. The obstacles we think we are facing really exist only in our minds. If we could simply surmount those subconscious barriers to our success, life would be so much easier. Of course, we’d still be on the never ending quest for excellence, but at least we’d be making real progress, and overcoming real obstacles rather than running round in circles in our own minds. The trick is to understand what’s real, and what’s an imagined obstacle. This can be tough, even for the best of us. Think about climbing a mountain. If we are facing and overcoming real obstacles in real life, we are constantly increasing our elevation, and getting higher and higher up the mountain. We can see evidence of this as the peak gets closer, and the view gets better and better. On the other hand, if we are only facing internal demons, we keep going round and round on the bottom of the mountain without going up. We can fool ourselves into thinking we are making progress, when we are only going in circles. The way out of this paradox is to spend some time on both fronts. While it’s important to face the slope of the hill and fight your way up, it’s also important to take some time and face those inner demons. Doing only one or the other will end in disaster. Real world progress must be met with inner reflection and contemplation. How do you do this? Meditation is the best way. It’s been around for ages, and it’s helped people to become better athletes, better musicians, and better business people. Of course, there are plenty of ways to meditate, but getting some help will make it much easier. You see, when you meditate, you are aiming to get your mind into a deep state of relaxation. You are effectively getting your brainwaves down to a level where you can objectively look at your inner blocks, and dismantle them without the stress that comes with being full awake. Many people find that spending a few minutes every day in quiet contemplation can make those inner demons vanish all on their very own. Of course, this isn’t instantaneous, but the more you practice, the better you get. One way to significantly help this is with a light and sound machine. 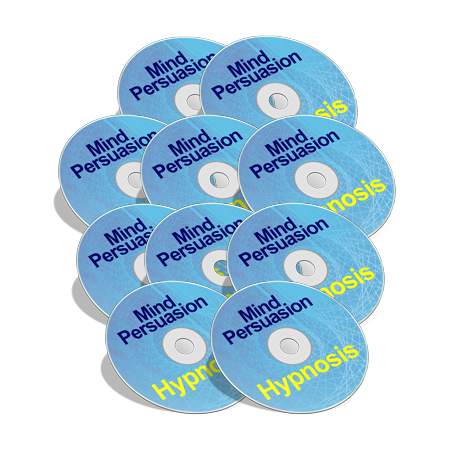 These can help to guide your brainwaves down to a level that is perfect for contemplation and self improvement. What has taken several years to accomplish in meditation can be accomplished in only a few minutes with these devices. By spending a few minutes every day with the assistance of a light sound machine, many people find that their normal, goal getting lives are much easier. Just as you are likely aware that problems are much less larger in real life than they are in your mind, the real obstacles that you overcome in your daily life are much easier to surmount than the ones that exist in your mind. And when you use a daily meditate practice with the help of a light and sound machine, those inner demons can easily vanish, making those real life obstacles a piece of cake. Getting your goals becomes what it should be. A pleasurable experience of self development and achievement. One of the most popular light and sound machines is the PROTEUS. It comes with plenty of preset functions to help you in many areas. It’s also fully programmable, so no matter what inner demons you’ve got, they can be easily obliterated by spending some quiet time of reflection and meditation. For less than two hundred bucks, you can achieve in just a few minutes what some of the top meditation experts have taken years to achieve.